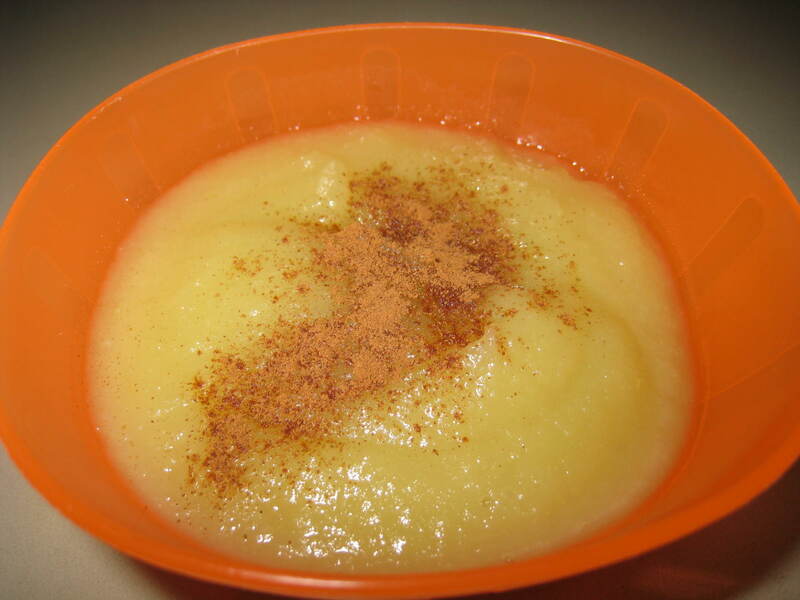 This is my quick and easy version of applesauce. I bought a 1/2 peck of apples at the Farmers Market yesterday. My daughter eats applesauce every day so we go through it quickly. I see many trips to the orchard to pick apples in our future! Peel and cube apples. Place into a microwave steamer bag. Fill bag and cook for 3 minutes. Cool slightly and then put into blender. Puree until smooth, or chucky depending on your preference. Let cool and enjoy with some cinnamon.